Looking to give your health a boost in 2019? As studies continue to suggest that engaging with art can be beneficial to both your mental and physical wellbeing, here at Paddington Central we’re taking a closer look at some of the creative works on campus and throughout the neighbourhood. Our Art Curator, Rosie Glenn, leads the way with a round-up of the soul-boosting art to be found on our doorstep as well as a few suggestions from further afield. Why not schedule a little time each week to explore? After all, the well-deserved breaks, the inspirational art and the increased activity levels will soon have you on track to nail down that positive work-life balance you’ll need for the year ahead. 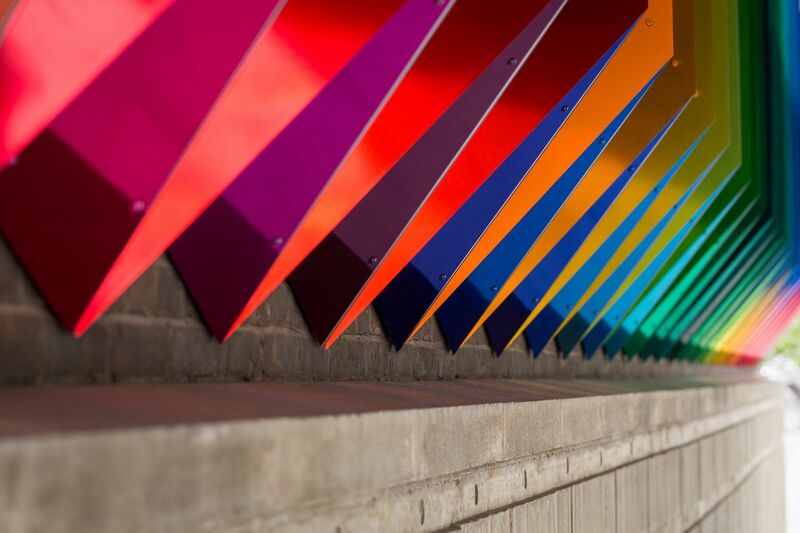 Next time you’re out and about on campus, take a closer look at A Ray of Sunshine and Light by British designer and artist, Ptolemy Mann. 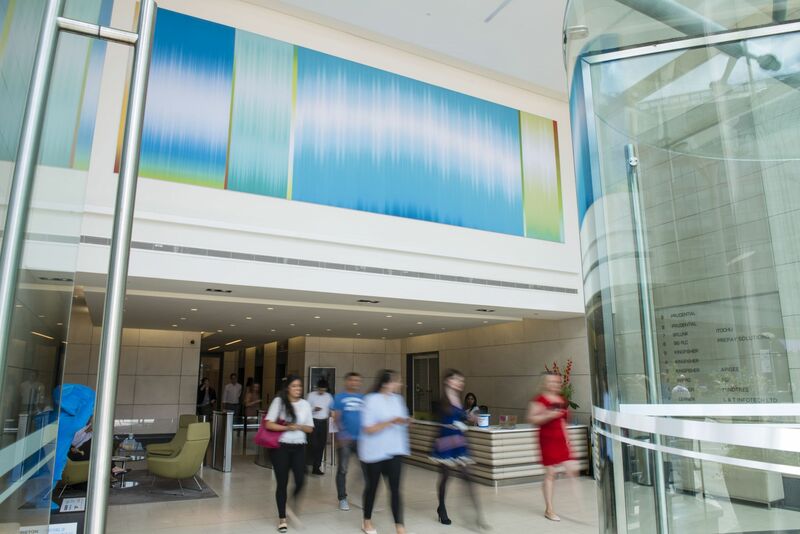 Set within the ground floor lobby of 3 Sheldon Square and clearly visible from Sheldon Square itself, this panoramic artwork is designed to uplift and energise all who see it. Inspired by our unique waterfront and its surrounding plant life, the installation is redolent of Mann’s woven tapestries and forms a ribbon of colour on even the bleakest January day. From Sheldon Square, head up Kingdom Street to uncover artwork by keen ambassadors for the positive impact of creativity. First stop is our distinctive Paddington Central Book Pavilion, just outside 2 Kingdom Street. Drop by to explore page-like images of campus by artist David Tovey and discover books to borrow, swap and share in this peaceful haven. After this literary-themed break, continue further along, to the ground floor lobby of 4 Kingdom Street, to view Liz West’s scale model for Colour Transfer. This beautiful piece relates directly to West’s permanent Paddington Central installation and was fabricated by the artist as part of the commission process for the actual sculpture. When on your way to and from Paddington Central, make a point of meeting some of the heroes from Paddington’s rich cultural heritage. 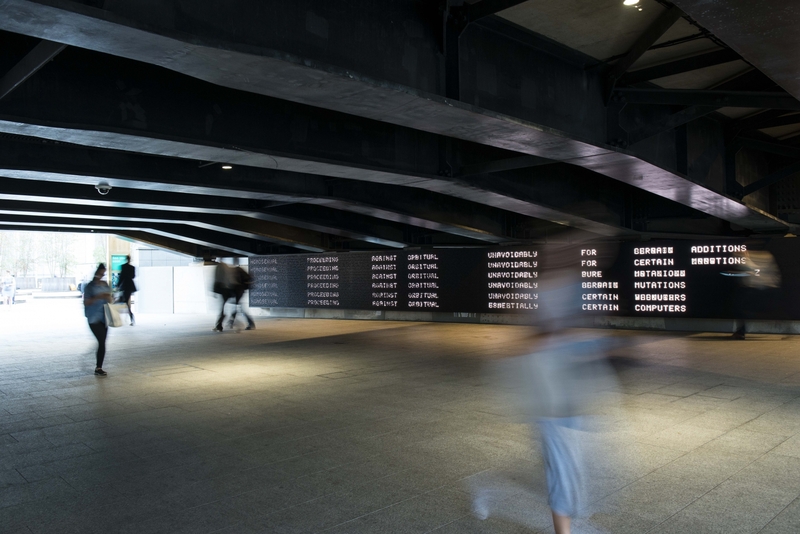 Head along the canal towards Paddington Station to take another look at Message From the Unseen World, our gateway installation paying homage to Alan Turing, Paddington’s celebrated code-breaking son. Message from the Unseen World by United Visual Artists. At the Station itself, you can see several historic artworks, including a bronze sculpture of Isambard Kingdom Brunel, the Victorian engineer who revolutionised railway travel through his work as Chief Engineer of Great Western Railway. There’s also a chance to meet Paddington Bear himself and see the plaque which denotes the very location where he was first discovered on platform one by the Brown family. Find out more with the Paddington Public Art Trail which gives details of these artworks and more local characters, including commemorations of Michael Bond, Sir Simon Milton, Mary Seacole and Sarah Siddons. Keep up your resolve to see and do more in 2019 with a trip to a free gallery. Strike out to West London’s varied creative institutions – they’re perfect to combine with a January sales shopping spree or an energising visit to Hyde Park. 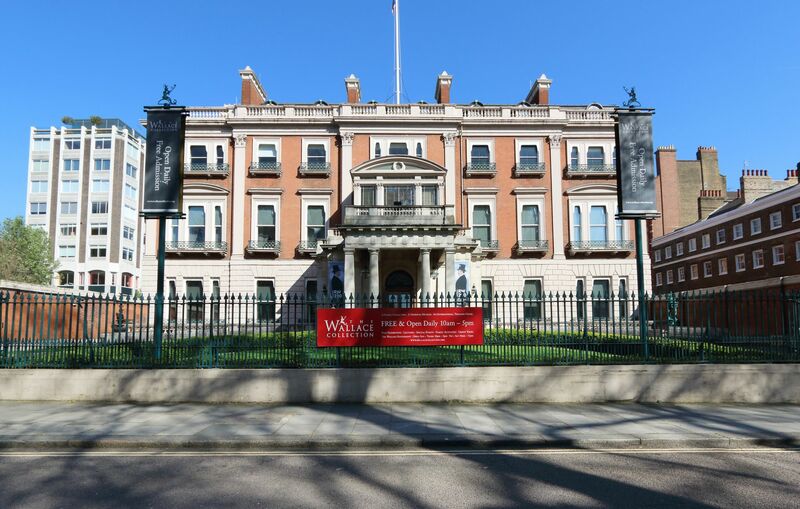 Step into another age by visiting the Wallace Collection; located just behind Selfridges in Manchester Square, this elegant museum has recently celebrated 200 years since the birth of Sir Richard Wallace, founder of the collection. Showcasing a series of sumptuous objects and paintings, the Wallace Collection hosts regular free highlights tours (check their website for times and dates to book your place). Or if contemporary art is more your style, then head towards the Serpentine Gallery to see cutting-edge international artwork. Beautifully placed to take advantage of one of London’s iconic green open spaces, the gallery is also home to Koenig Books at the Serpentine Gallery, so it's perfect for bookworms too.